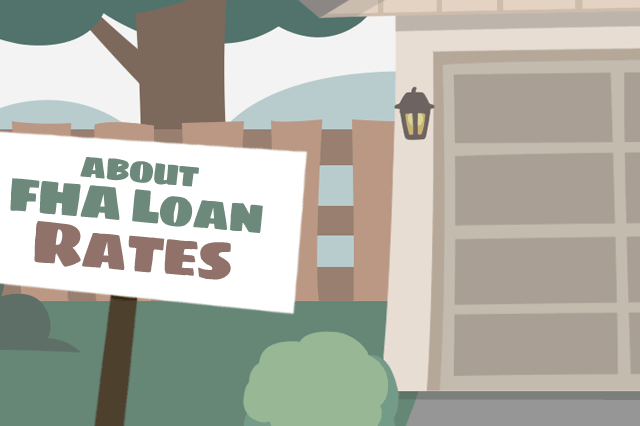 Do you know about FHA loan rates and how they work? It is true that the FHA and HUD do not set (or regulate) the interest rates on your FHA mortgage, but do you know about the ability of the borrower to buy discount points that can help lower the FHA loan rate up front? August 20, 2017 - Do you know about FHA loan rates and how they work? It is true that the FHA and HUD do not set (or regulate) the interest rates on your FHA mortgage, but do you know about the ability of the borrower to buy discount points that can help lower the FHA loan rate up front? Did you know a borrower’s FICO scores can and often do affect the kind of mortgage rates offered by the lender? There are other considerations-borrowers can apply for an FHA mortgage loan or refinance loan that features either a fixed rate that never changes for the lifetime of the mortgage, or an adjustable rate mortgage (FHA ARM loans) that feature an introductory rate and a predictable number of adjustments over the lifetime of the FHA mortgage. What are FHA Fixed Rate Mortgage Loans? FHA fixed rate mortgages, as mentioned above, feature a single unchanging interest rate, negotiated between the borrower and lender. The only way to get an adjustment to the interest rate you are paying on these mortgages is to refinance into a lower rate. Many borrowers take advantage of the FHA Streamline Refinance Loan option, which has a requirement that the new loan feature either a lower rate, lower monthly payments, or moving into a fixed rate loan from an FHA ARM loan. It’s understood that the new, fixed rate may not be quite as low as the introductory rate for an FHA ARM, and the Streamline refinance loan rules anticipate this. FHA Streamline Refinance loans are for existing FHA mortgages only. Talk to your participating lender to learn how you can refinance into a lower FHA mortgage rate using the FHA Streamline program. What are FHA Adjustable Rate Mortgages (ARMs)? FHA Adjustable Rate Mortgages or ARM loans include an introductory or “teaser” interest rate that will expire on a set date. Once that introductory FHA loan rate has expired, there are rules that limit how much the interest rate may increase or decrease each time, when it may do so, and by how much over the lifetime of the entire loan. There will be adjustments to the rate that are explained in your loan agreement. At the time of this writing, FHA loan rules in HUD 4000.1 indicate that the maximum FHA loan rate change or adjustment over the lifetime of the entire loan is six percentage points depending on the type of ARM loan you get, depending on how long the introductory rate lasts–one year, three years, five years, etc. Depending on the kind of ARM loan you have, you may see annual adjustments of one or two points on an annual basis. These interest rate adjustment could be scheduled as early as one year after your loan closes but could take as long as 120 months to happen depending on what you agree upon with the lender.